Need Career Advice? 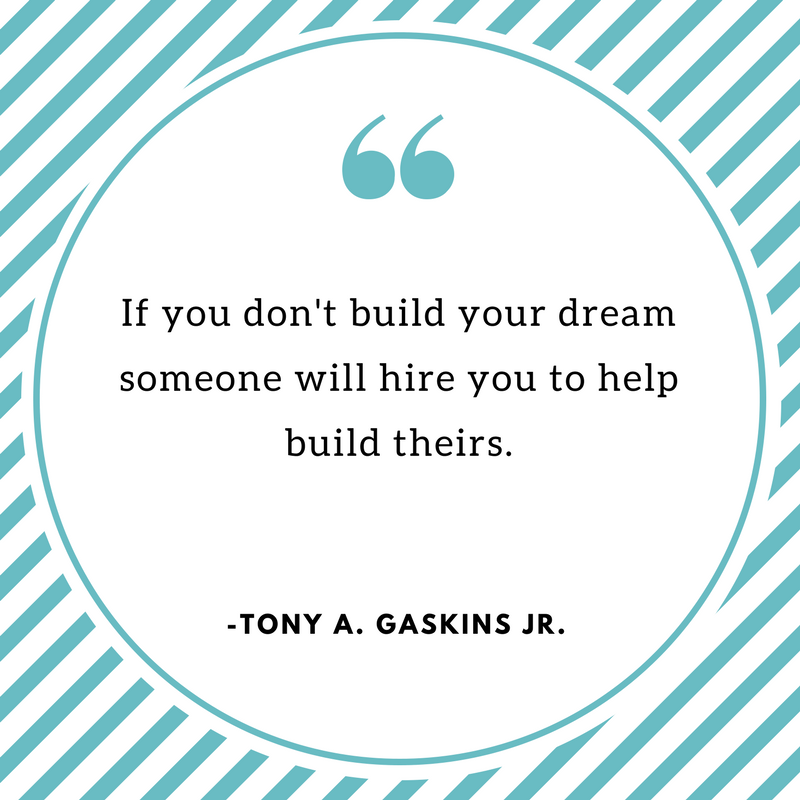 Hire a Mentor! Ever wonder what you should do with your life? Or what kind of career would be both rewarding and fulfilling—personally, professionally, and let’s face it, financially? Of course, we would all like to do what we love—and get paid well to do it. But how do we get there? That’s why I decided to become a career mentor with Career Contessa’s Hire a Mentor program. I want to help you to craft your own story and find a job that is enriching. I’ve been a loyal Career Contessa devotee (even writing a few articles for them as a contributor) for a while now. So, back in 2015, when I needed help navigating my own career, it was only natural that I turned to one of their career experts for advice. If you’re not familiar with the Hire a Mentor program, it allows you to search for a mentor based on the field or industry you are in or interested in. Once you’ve selected the mentor that you’d like to work with, the process is as simple as booking your 50-minute session and arranging a time to chat via phone or video conference. I’m excited to be part of the Hire a Mentor team. I’ve spent the better part of the last 8 years pondering the very questions I posed earlier. In 2009, I graduated from college with a degree in political science. I never thought about what I would do with it—or want to do—if I did not pursue my dream of going to law school. And then the financial (and job) market crashed—and it seemed impossible to fathom taking out six-figures of student loan debt to attend law school. So, what’s a political science major without a backup plan to do? Ironically, I accepted a job working in fundraising for a local law school. While it solidified my decision to forgo my dreams of becoming a lawyer, it also led me down a path working in the higher education field—and helped me to start answering some career questions. What fulfilled me? What did I want to do with my life? What was I passionate about? Those answers, and a thyroid cancer diagnosis, led me to start this very site. Four years later, I still find joy in creating weekly content, styling photo shoots, and connecting with fellow bloggers. I used the skills that I acquired through blogging as a launching pad to help me land a marketing role—without any concrete marketing experience. I’ve been where you may be at this very moment—a recent graduate, unsure of your next career move, or eager to change careers entirely. If any of this resonates with you, book a session with me! 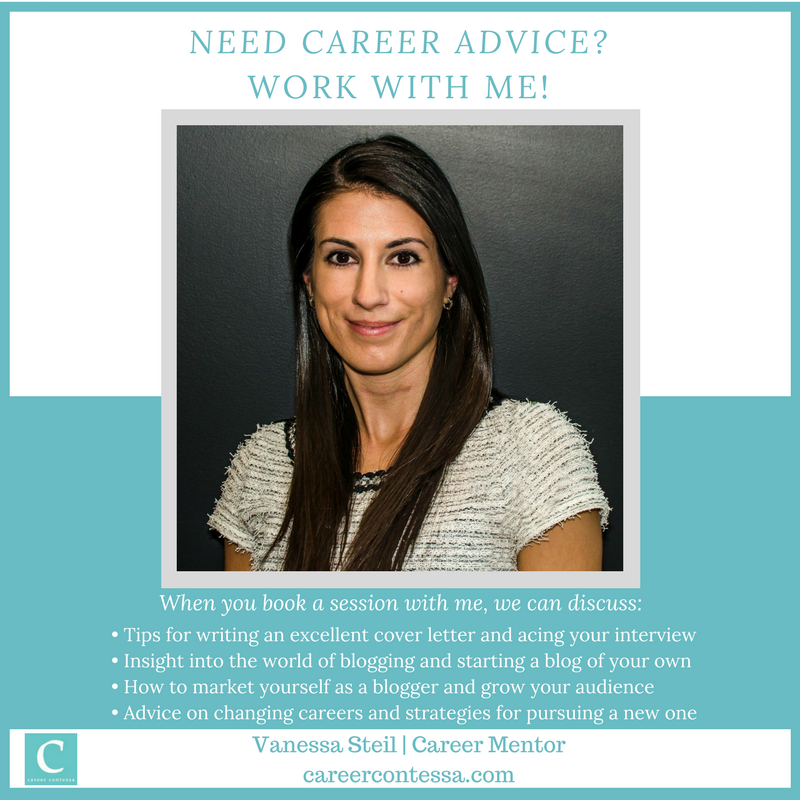 Whether you’d like tips for acing your next interview, insight into the world of blogging, or advice on changing careers, I can help you achieve career fulfillment. I am so happy for you in your new adventure into mentoring! I know you will be amazing. Can’t wait to hear how it goes and have a terrific weekend Vanessa! Thanks, Kathrine! I’m excited to help people find work that fulfills them. Congrats on the new adventure!